Dr. Richard K. Mathis is one of the founding physicians of the subspecialty of contemporary Pediatric Gastroenterology. His long term practice of over 30 years creates a foundation for professional experiences punctuated with a depth and breadth of managing complex specialty diagnoses, procedures and diagnostic studies. He currently serves as the director of the MCH GI Laboratory. He has been an instructor, teaching at Massachusetts General Hospital, Harvard Medical School and University of Minnesota, He continues to share his skills and knowledge with doctors in training from the University of California, Irvine, CA College of Medicine. Dr. Mathis received his medical degree from UCLA. He completed his residency training at the University of Minnesota and his specialty fellowship in pediatric gastroenterology at the Harvard School of Medicine. His special interests have focused on nutrition, liver conditions, cystic fibrosis and inflammatory bowel disease. He is a skilled pediatric endoscopist along with other specialty diagnostic techniques. Dr. Mathis developed the Pediatric Gastroenterology Program at Miller Children's Hospital and the University of California Irvine. He has been recognized for his outstanding practice and teaching by physicians in training and nurses at Miller Children's Hospital. His community contributions include donated time at The Children's Clinic for medically complex children. 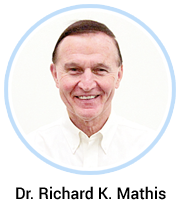 He is board certified in Pediatrics and Pediatric Gastroenterology, Hepatology, and Nutrition. His practice includes disorders related to gastroenterology, nutrition and liver. He has received numerous awards and has published many papers in peer review journals. Dr. Sarah Sela is board certified in Pediatrics as well as pediatric Gastroenterology. She is currently practicing as a Pediatric Gastroenterologist throughout Southern California, with over 15 years of experience in the field. She shares her medical knowledge with residents and medical students from the University of California, Irvine Medical School. Her professional interests include liver disease, nutrition, inflammatory bowel disease, as well as gastrointestinal manifestations in Autism. 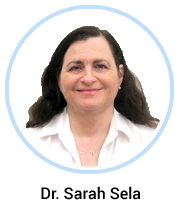 Dr. Sela received her medical degree from the Hadassah School of Medicine at the Hebrew University in Jerusalem, Israel, and completed her postgraduate Pediatric residency training at Sinai Hospital of Baltimore and Johns Hopkins Medical School. Dr. Sela also completed a fellowship in pediatric gastroenterology, nutrition and hepatology at University of California San Francisco. As an active participant in the medical community, Dr. Sela is a Fellow of the American Academy of Pediatrics, and is also a member of the North American Society of Pediatric Gastroenterology, Nutrition and Hepatology. Throughout her practice experience, Dr. Sela has been recognized as Physician of the Year in the outpatient category, by the nursing staff at Miller Children's Hospital � Long Beach. 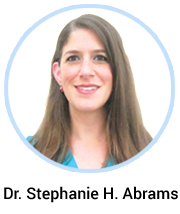 Dr. Stephanie H. Abrams is board certified in pediatrics and pediatric gastroenterology, hepatology and nutrition. Following the completion of her medical degree at the University of Texas in Houston in 2000, Dr. Abrams completed her residency in general pediatrics, followed by a fellowship in pediatric gastroenterology, hepatology and nutrition at Texas Children�s Hospital/Baylor College of Medicine in Houston. Dr. Abrams has a special interest in medical education and served on the Pediatric Gastroenterology Fellowship Committee from 2005-2013. As a faculty member at Baylor College of Medicine, she furthered her education by pursuing her Master of Science in Clinical Research. As a clinician scientist, Dr. Abrams has had years of funding from the National Institutes of Health (NIH) to study childhood obesity and nonalcoholic fatty liver disease (NAFLD) in children. In addition to serving on the NAFLD Advisory Board of The North American Society for Pediatric Gastroenterology, Hepatology and Nutrition (NASPGHAN) Foundation, she is chair of the Obesity Task Force of the NASPGHAN Nutrition Committee. In 2013, Dr. Abrams received the Kudos to the Caregiver Award from the Teen Advisory Board of Texas Children�s Hospital. The award recognizes a medical provider who provides exceptional patient-centered care and is the only award voted on and given by patients. Dr. Sonia Michail is board certified pediatrician and pediatric gastroenterologist. After completing her pediatric gastroenterology training at Creighton and the University of Nebraska Medical Center in 1997, she began practicing pediatric gastroenterology in Dayton, Ohio. She became Medical Director of the Department of Pediatric Gastroenterology at Dayton Children�s Hospital in 2008. She came to Southern California and joined Children�s Gastroenterology, MCSG in 2010. Dr. Michail has an interest in understanding the role of the intestinal bacteria in children's health. She is an editor of a book on the use of probiotics in children and has written several articles in this field. 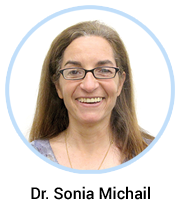 She is an active member in several societies such as the American Gastroenterological Association (AGA), the North American Society of Pediatric Gastroenterology and Nutrition (NASPGHAN) and is a founding member of the North American Society of Celiac Disease. Dr. Michail is also a member of the American Society of Pediatrics (APS) and the Society of Pediatric Research (SPR) � two very prestigious societies whose members including many leaders in the field of pediatrics. She is also an American Gastroenterological Association Fellow (AGAF), an honor only bestowed on few select gastroenterologists around the world. Dr. Michail enjoys teaching medical students, residents and fellows and has mentored a large number of trainees, many of which have become leaders in their field. 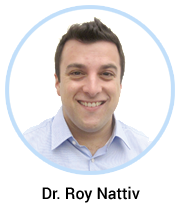 Dr. Michail enjoys caring for children with a variety of gastrointestinal and liver disorders. She has been named Best Doctor 2015 by LA Magazine. Dr. Leon Chen is a board certified pediatrician and pediatric gastroenterologist who moved from Texas to become a part of Children�s Gastroenterology, MCSG. He is a graduate of the University of California, Berkeley and received his medical degree from Baylor College of Medicine where he attended on a full merit scholarship and graduated with honors. Dr. Chen completed his pediatric residency and subspecialty training in pediatric gastroenterology, hepatology and nutrition at Texas Children�s Hospital, one of the prominent institutions in the field. His professional interests include inflammatory bowel disease, liver disease including viral hepatitis, and nutrition. Interested in education on all levels, Dr. Chen is actively mentoring physicians in training and has been nominated for teaching fellow of the year. He served on the pediatric gastroenterology fellowship committee at Baylor College of Medicine as well as the training committee of the North American Society for Pediatric Gastroenterology, Hepatology and Nutrition (NASPGHAN). 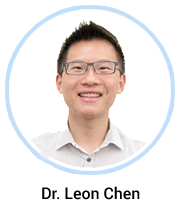 Dr. Chen enjoys teaching families and children in his community and has given talks and volunteered at many community events. He is the founder of a respite program for children with chronic diseases and has been recognized with a leadership in community service award. Dr. Chen has also done medical work in Mexico, Taiwan and Lesotho and he is fluent in Chinese. While completing his pediatric residency at the Children�s Hospital at Montefiore, Albert Einstein College of Medicine, Dr. Nattiv developed a keen interest in treating children with gastrointestinal illness and inflammatory bowel diseases. He went on to complete his subspecialty training in pediatric gastroenterology, hepatology and nutrition at the University of California, San Francisco (UCSF). During his time at UCSF, Dr. Nattiv performed both clinical and basic scientific research in pediatric gastroenterology. He was a California Institute of Regenerative Medicine (CIRM) fellowship trainee and was awarded the North American Society for Pediatric Gastroenterology, Hepatology and Nutrition (NASPGHAN) Fellow to Faculty Award in Pediatric IBD Research. He is a member of the American Academy of Pediatrics, NASPGHAN and the International Society for Stem Cell Research. In the clinic, Dr. Nattiv is able to use his unique clinical and scientific knowledge to provide advanced care for children who suffer from gastrointestinal and liver disease, including Crohn�s and ulcerative colitis. He works closely with parents in the community to raise awareness regarding gastrointestinal disease and nutritional issues affecting children. Dr. Nattiv is also fluent in Hebrew.